WENATCHEE, Wash. (Reuters) - A wildfire burning unchecked in Washington state has destroyed at least 23 homes and three commercial buildings near the eastern foothills of the Cascades, state police and emergency management officials said on Monday. The so-called Sleepy Hollow fire has scorched an estimated 3,000 acres (1,200 hectares) of rolling grasslands and brush in and around Wenatchee in central Washington since it erupted on Sunday, said state patrol spokesman Darren Wright. A couple of firefighters suffered minor injuries, Wright said. He said several hundred homes remained under evacuation orders on Monday, as firefighters scrambled to take advantage of heavy overnight showers that slowed the fire's advance. Crews have yet to establish containment lines around the blaze. "We had a couple of pretty good rain storms that knocked it down a bit for us," Wright said, adding the blaze could flare up again with triple-digit temperatures and low humidity forecast for the coming days. 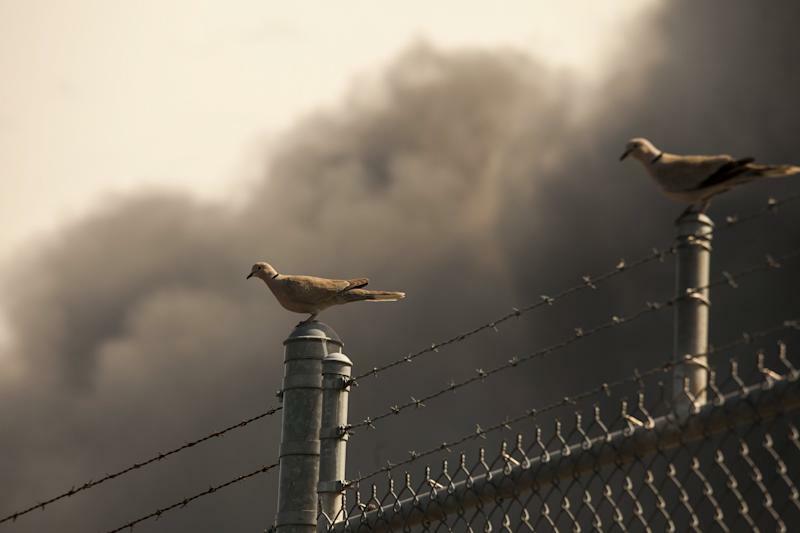 Hot, dry winds fanned the flames through drought-parched vegetation as the fire zone "blew up" late on Sunday, growing from 200 acres (80 hectares) at about 6 p.m. to 15 times that size overnight, said Janet Pearce, a spokeswoman for the state Department of Natural Resources. Wright said at least 23 homes west of Wenatchee had burned, and embers blown into town set ablaze and destroyed a recycling center and two adjoining buildings of a fruit-packing storage facility. A thick, black plume from the three burning buildings drifted over Wenatchee, as well as a haze of lighter smoke. "Leave your home immediately, the fire is close and you are in danger," a Chelan County Emergency Management office notice told area residents. 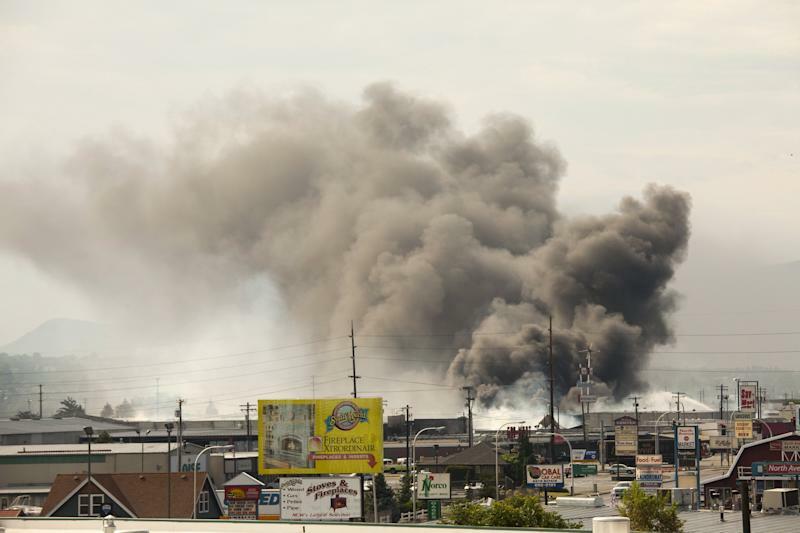 The cause of the blaze has not been determined, but it followed a large number of lightning strikes in the region, Pearce said. With the approaching Fourth of July holiday, state officials were asking residents to avoid using personal fireworks, and a ban on outdoor fires was imposed for state-owned parks and forests. Washington experienced its worst wildfire season on record last year, with the Carlton Complex fires blackening 250,000 acres (100,000 hectares). It has tallied more than 300 wildfires so far this year, according to the Natural Resources Department. 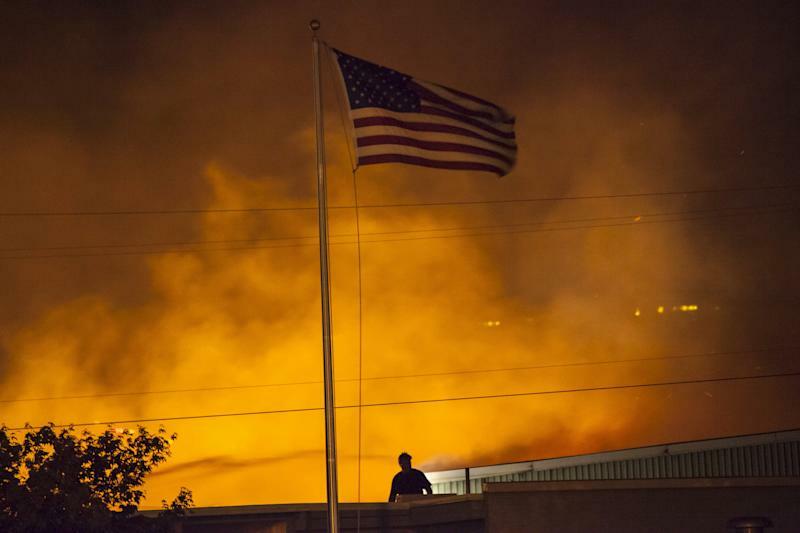 The Sleepy Hollow is one of dozens of large wildfires flaring across the western United States, including more than 60 in Alaska alone, where 650,000 acres (263,000 hectares) have burned, the National Interagency Fire Center in Boise, Idaho, reported.